The giveaway will end on 20th May, and the winner will be announced on the GingerSnaps FB page soon afterwards. The giveaway is open to the residents of India only. 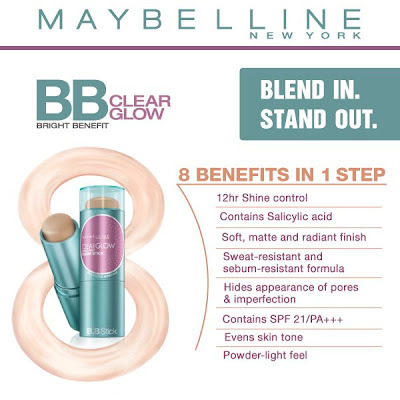 The winner would be getting the Maybelline BB stick in the shade "Fawn." *fingers crossed* I've been eyeing the BB stick for quite some time now..